Discovering the myths and truths about migraine is the first step to prevent a disorder that is much more than a headache, as it can be accompanied by other annoying symptoms such as photosensitivity, fatigue, sleepiness, vomiting and nausea. The World Health Organization (WHO) recognizes migraine as a disabling disease, and episodes of headache lasting from 4 to 72 consecutive hours. It is estimated that it affects 15% of the world’s population, being also more frequent among the women. Strong facts and arguments that invite to continue to investigate what provokes the migraine. Migraine and headache is the same: Migraine is not a simple headache, much less all headaches are the same. In fact, according to the International Headache Society, about 150 types of headache have been classified. Migraine is not only more intense, but more disabling. Migraine patients have the same symptoms: It is not true. The type of pain, frequency, and location may vary from patient to patient. Before headache, some patients have symptoms such as irritability, nausea, restlessness, or lack of appetite. In other cases it manifest blurred vision or flickering lights, tingling sensation or weakness in some limb. Migraine is not cured: It is not entirely true, because although there is no definitive cure, we do have effective treatments and therapies, ranging from nonsteroidal anti-inflammatory drugs (NSAIDs) and triptans to prevent crises or episodes, to the most innovative Botox bets for migraines. Migraine is an adult disease: False. Migraine can also affect children and adolescents. In fact, and according to medical data, although it is a more frequent headache in women (especially motivated by hormonal changes), during childhood and puberty is more common in men. Migraine is a disabling disease: True. According to WHO, one of the 10 most disabling diseases, and one of the most frequent reasons for consultation. 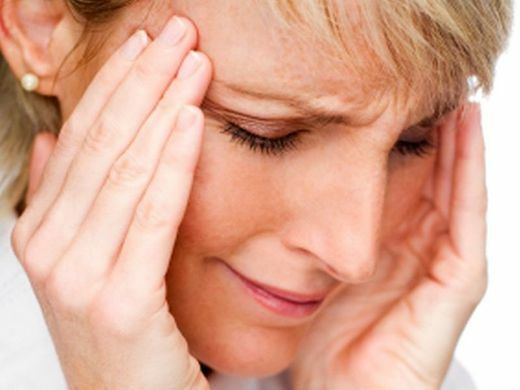 According to medical data it is estimated that in about 40% of cases migraine causes a moderate or severe disability. Self-medication increases the risk of chronic migraine: Beware of using the medicine without consulting your doctor, since self-medication may increase the risk of chronic migraine. Going to the doctor is essential to determine the causes of migraine and adopt the most appropriate treatment in each case. Food influences migraine: True. There are foods that cause headaches. Foods that you cannot eat when you have migraine include those that contain tyramine (cheese, for example), nitrates, preservatives, and artificial sweeteners. Some patients also point to chocolate or dry fruits, certain meats or spicy foods. Similarly there are foods that help prevent and mitigate headaches. Migraine causes hangover of migraine: The so-called migraine hangover is the effect that causes this intense headache and which translates into a feeling of weakness, fatigue, tension in the neck and upset stomach. It can last several hours. Exercise is good for migraine: True. The benefits of regular physical exercise also include helping to prevent migraine, as it helps relieve stress and generate endorphins. It also improves digestion and blood circulation.